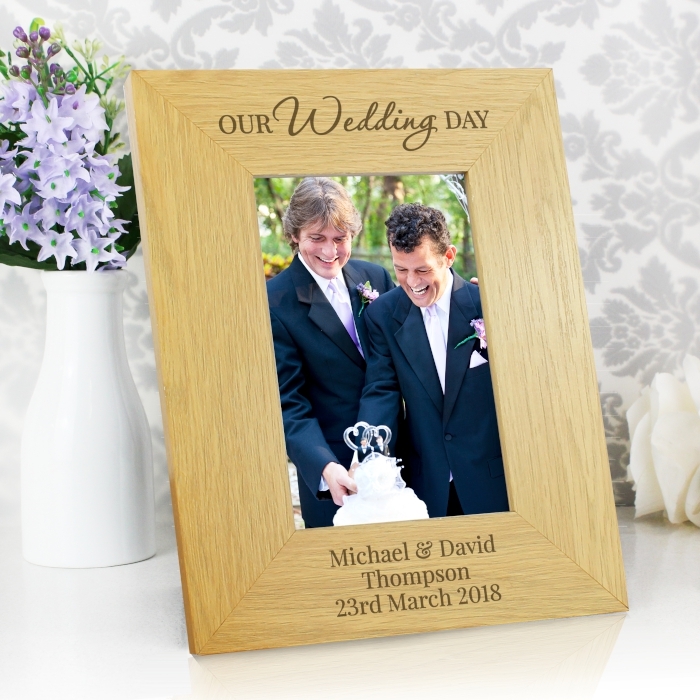 Celebrate the big day with this stunning Personalised 'Our Wedding Day' Oak Finish 4x6 Photo Frame. 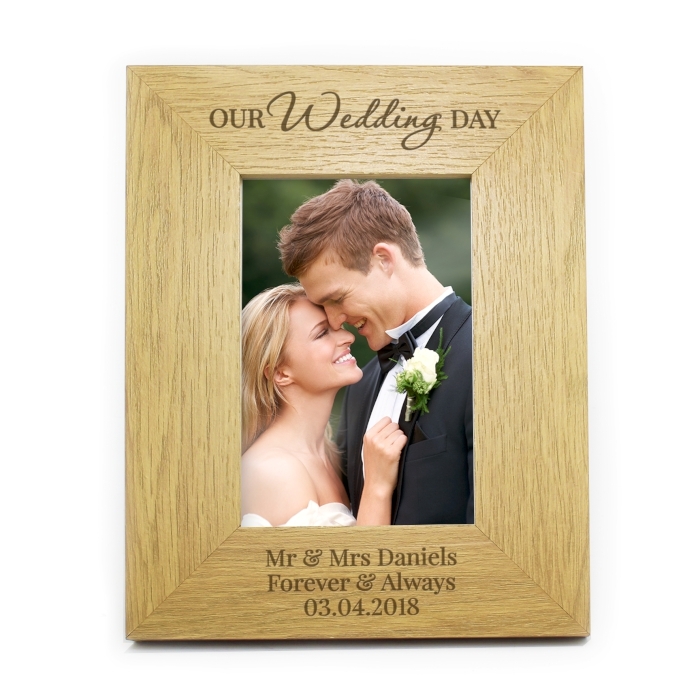 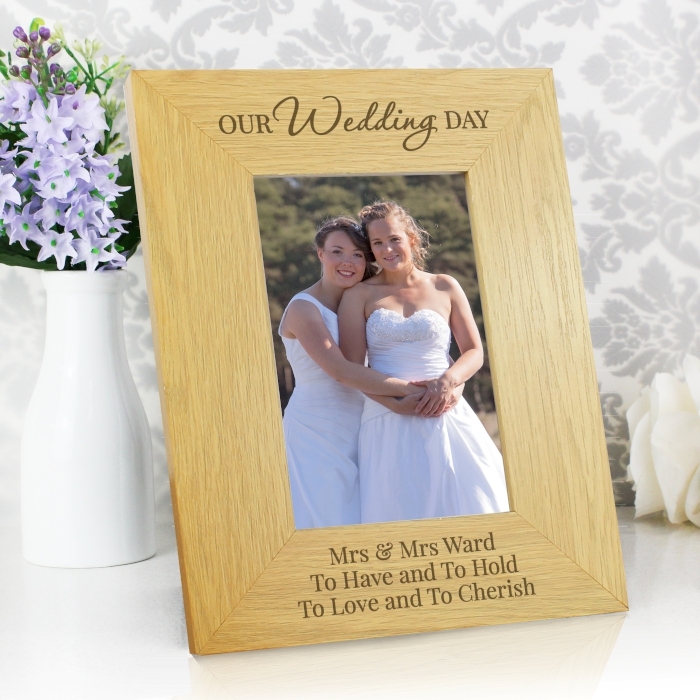 Personalise this 'Our Wedding Day' Oak Finish 4x6 Photo Frame with 3 lines of text, with up to 25 characters per line. 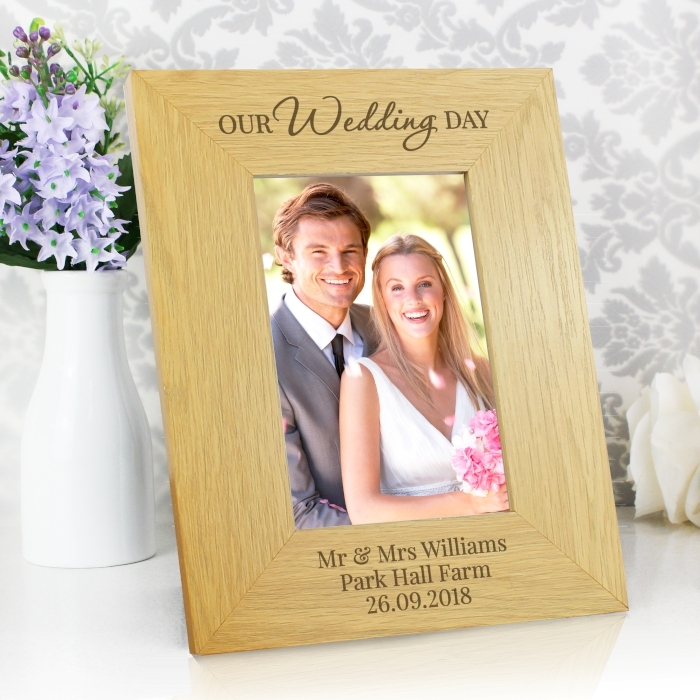 The personalisation will appear at the bottom of the frame.